Aviation Now is a web video production by 5DME.NET and each episode is produced with information, interviews and imagery from the aviation sector in South Australia. At minimum we produce one episode per month but more frequent productions will cater for important news and events. The newest member to join the 5DME team is Lucianne van Gelder. Lucianne is a pilot and has been involved with aviation for some time. She is a member of the Aldinga Aero Club and now will be one of our on screen presenters. This week the 5DME team welcomes Lucianne van Gelder to our team. 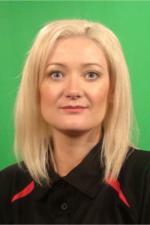 Lucianne will be taking up the role as one of our presenters in 5DME videos and we look forward to seeing her on-line. Lucianne is an aspiring pilot herself and is currently taking lessons at Adelaide Biplanes. She is on the Aldinga Aero Club Committee and has a great knowledge of aviation. Viewers should see Lucianne in our videos very soon. 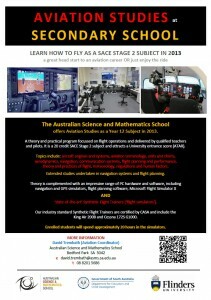 Over the next few weeks 5DME will be producing an article on the Australian School of Science and Mathematics based at the Flinders University campus here in South Australia. 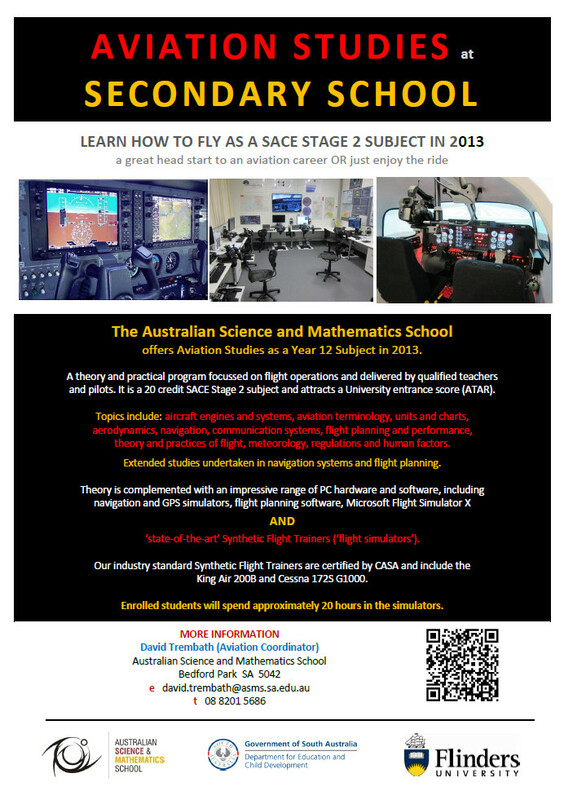 The Australian Science and Mathematics School is the only secondary school in SA formally offering Aviation as a Stage 2 program. It is a recognised SACE 20 credit subject that attracts a university entrance score (ATAR). 5DME will bring you the full story when we visit the school later this month. Last weekend the Aldinga Aero Club held it’s annual charity day. This year the club took children affected by Juvenile Arthritis for joy flights. Many siblings and family members also attended and enjoyed the flights over the hills and Aldinga aera. Today (Friday 13-4-12) QANTAS created aviation history in Australia by operating a commercial bio fuel flight into Adelaide Airport. The A330 Airbus had one engine running on a 50/50 blend of conventional Jet-A1 (kerosine) and the new bio fuel (recycled cooking oil). Capt. Philip Davenport had some very positive things to say about the new fuel as seen in the following video. Although this flight used one engine on conventional fuel it was the data collected when comparing the two fuels that was interesting. Apparently, there was a 1-2% reduced fuel flow on the engine being run on the bio fuel which meant for a given thrust level, the aircraft consumed slightly less fuel. Considering that and A330 Airbus carries up to 88,000 litres at full load a 1% saving can be quite significant. Especially across a whole fleet. The only thing that will possibly delay the wide-scale introducion of bio fuels is the cost to produce it is higher than normal fuel at the current time. The benefits are lower emissions and an increased efficiency for the aircraft. 5DME will be following the bio fuel story to see if wider fuel replacement is possible or in the pipline. For instance, to replace AVGAS which is the fuel used by piston engine aircraft. The Aviation Now web TV show is available on-line and is produced once per month by 5DME.NET. Weekly Bulletins keep aviation enthusiasts up-to-date in between the shows with the latest news, pictures and interviews.